And I thought that same sentence was hard to write yesterday for Carrie Fisher. I can tell you my heart truly broke when the news came through that her mother, the beautiful and talented Debbie Reynolds passed away only one day later. It was no secret how close Fisher and her mother were. Last year I read "Unsinkable" by Debbie Reynolds and "Wishful Drinking" by Carrie Fisher back to back and the way those women's two worlds revolved around each other was beautiful. Not surprisingly, Carrie was a nightmare in her rebellious years during her twenties, but her mother clearly never gave up on her. In later years, the two lived next door to each other and shared a remarkable bond. The strength of that bond was made known on the morning of Wednesday December 28. 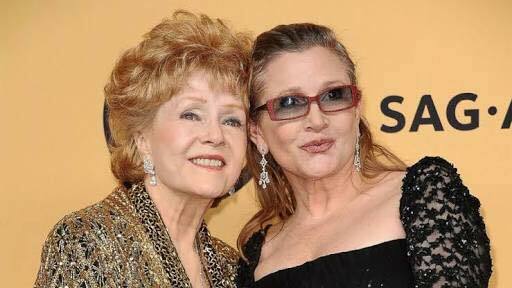 According to E!Online, Todd Fisher (Debbie's son and Carrie's brother) stated that his mother had expressed how much she missed her daughter and wanted to see her again before she suffered an alleged stroke (this has yet to be confirmed as of this time). The idea of having to live without her beloved daughter and the emotional stress of having to deal with this and funeral arrangements was too much for her to bear. The heartbreaking reality was that Reynolds simply could not live without her daughter. 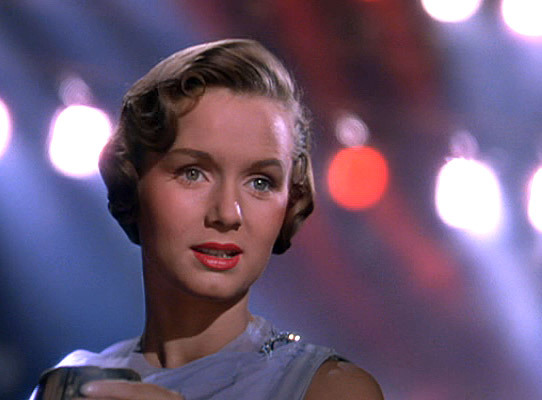 For classic film fans like myself, Debbie Reynolds was our hero. She was a true lady in every sense of the word and one of the few that the Studio System did not have to work on to make sure she upheld her reputation as a good MGM girl, because she really was. She always stood by her morals and was a survivor. Although many class her finest film achievement as Kathy in 1952's Singin' in the Rain, she earned an Oscar nomination in 1964 for The Unsinkable Molly Brown. It was from this film that her memoir, "Unsinkable" took it's name and unsinkable was the perfect way to describe Reynolds. She endured incredible trials and tribulations in her life, which included messy divorces (including her infamous one with Eddie Fisher where Elizabeth Taylor was the other woman) and financial hardships. Yet, she was always seen with a smile on her face and always resembled a ray of sunshine. As amazing as her long career was, her professional achievements are not the ultimate reason for her being a champion among classic film fanatics. Reynolds worked tirelessly to preserve the history of old Hollywood, particularly that of MGM. She was a serious collector of movie memorabilia from the Golden Age of Hollywood and was angered by the idea that others were not seeking to look after history the way she was. Unfortunately for Reynolds, she had to sell the items in her collection at auctions over the years. However, at these auctions she was able to make sure that the items (which included Dorothy's ruby slippers from The Wizard of Oz and one of Scarlett O'Hara's dresses from Gone With The Wind among others) went to homes where they would be taken care of. Fans of old Hollywood, like myself, will be forever grateful for Reynold's efforts in preserving pieces of an age gone by and being such a staunch advocate for it. She really was an old Hollywood treasure herself. Losing her is losing another piece of film history. However, it does feel selfish to want Debbie to still be here when she is now back with Carrie. Now that I have finished writing this, I just want to say that I pray I do not need to write another one of these tomorrow evening. Move along 2016, move along.